If you follow us on Twitter, you know that we’re winding down 2012 in the mountains of NC. As much as we love being on the water, we sure could get used waking up overlooking the hills and river every morning. That being said, it’s pretty darn cold up here and we weren’t quite as prepared as we should have been. 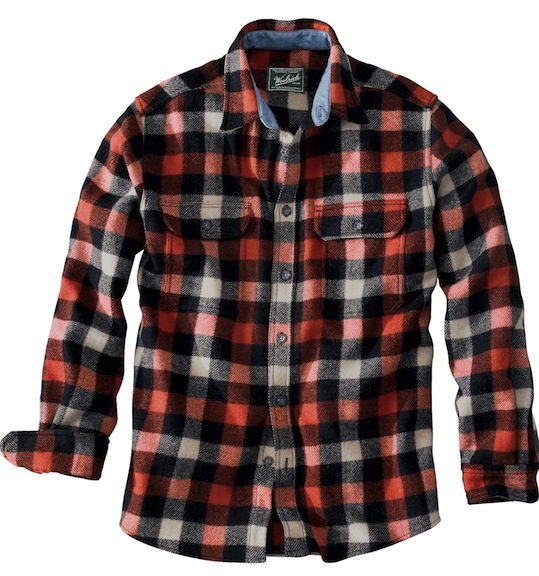 Why classic Woolrich Original Buffalo Check Wool Shirt wasn’t on our packing list we’ll never know. 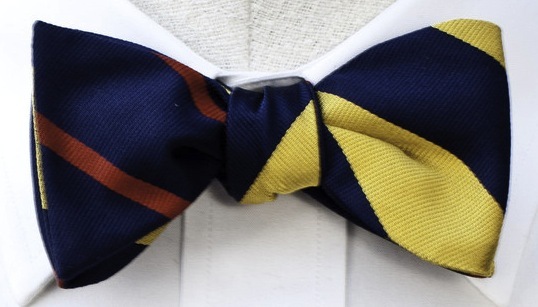 It’s hard to believe that today is the final Bowtie Friday of the year. We’ve had quite the wild ride this year, and cannot wait to see what 2013 has in store for us both personally and professionally. Originally, our plan was to go back through this year’s Bowtie Friday posts and revisit our absolute favorite bow to cap off the year. Turns out that is easier said than done with so many great options, so we’re going to go a little rogue today and pick a pair of pants to cap off a year of Bowtie Friday posts. 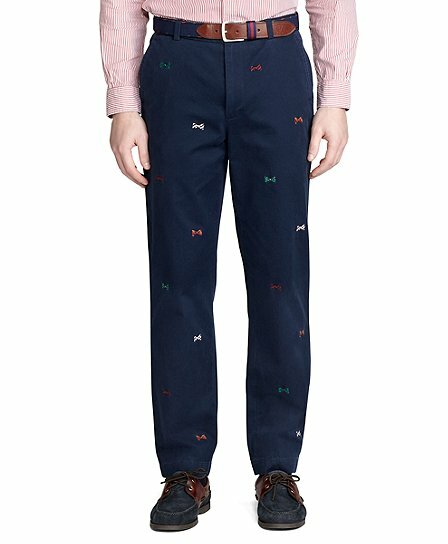 Not just any pants mind you, they are the Clark Vintage Bow Tie Embroidered Chinos from Brooks Brothers. Have you ever driven by a place time and time again, and constantly thought to yourself “Man, I should stop in there sometime”? Well, we have two words for you: do it! In the worst case, you’ll spend a few minutes poking around and realizing you haven’t been missing much. Best case, you’ll find a store that is truly a hidden gem. Luckily for us, the latter happened on Christmas Eve when we were wrapping up a few last minute errands. Little did we know that tucked right next to one of our favorite BBQ shacks sat a treasure trove stacked floor to ceiling with the likes of Barbour, Filson, and Woolrich. 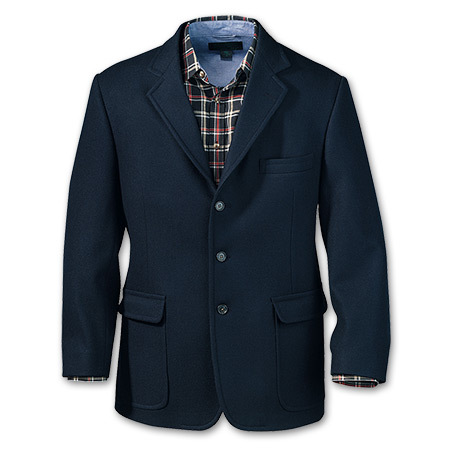 One thing that we haven’t stopped thinking about since that visit was a fantastic Wool Blazer by Filson. 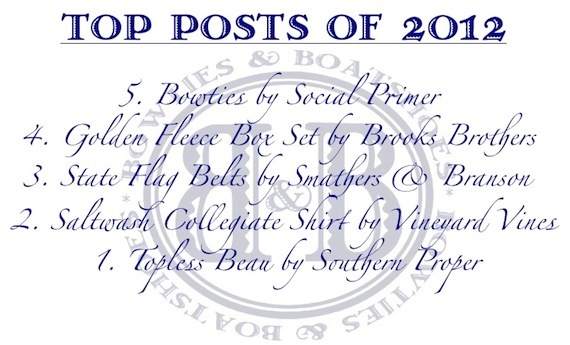 We’ve spent the better part of this month tracking down the “perfect gifts” for friends and family. Well, today we’re going after something that is just for us. 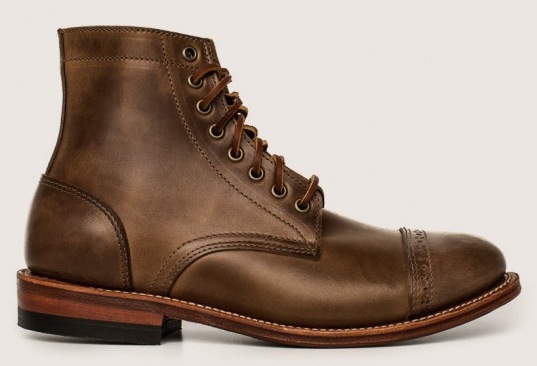 Released just a few days before Christmas, the Trench Boots by Oak Street Bootmakers came out a bit too late to be added to our list, but that doesn’t mean we weren’t hoping Santa might leave a pair for us. 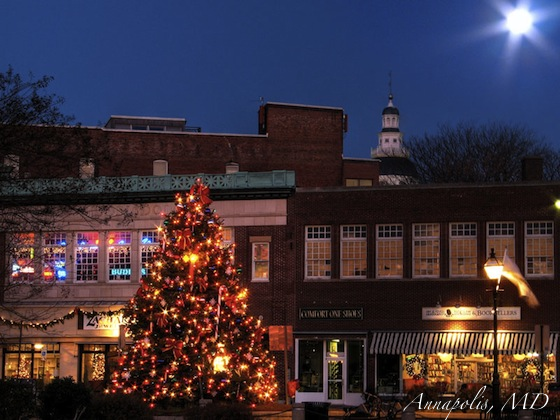 Here’s to hoping your Christmas is filled with joy and spent with those you love. Okay procrastinators, today’s gift guide is all about you. If you’ve waited this long to start your shopping, odds are you’re going to be grabbing just about anything left on the shelves if you decide to venture out today. 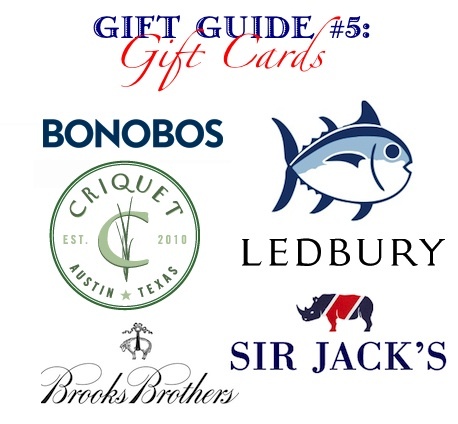 Luckily for you, a number of our favorite brands are offering e-gift cards this year. Below you’ll find the direct links to a few of our favorites. We’ve had today circled on our calendar for quite some time. No, not because it is the day after the world was supposed to end, but because it is the day after the Winter solstice and the days are finally going to start getting longer. That being said, now is the perfect time to start the hunt for some new sunglasses, and our searches are officially underway. High on our list are the Henry sunglasses from Red’s Outfitters. [Insert overused REM lyrics here]. Now that the end of the world mention is out of the way, let’s get down to business. 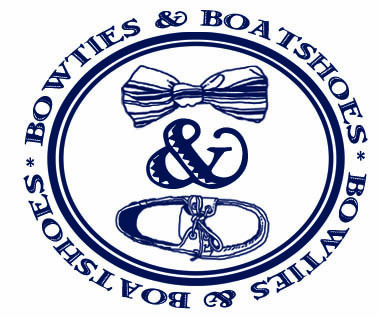 Today is the second to last Bowtie Friday of the year, and we’re doing our best to send 2012 out in style. Our pick this week is a bow that has quickly become one of our favorites, and though it comes from a new brand it’s already a classic in our book. It’s the Theta Bow from the Social Primer by K. Cooper Ray collection. We’re not quite sure who the first person to decide “ugly sweater” was a valid theme for a holiday party, but we sure do wish they would go away. Yes, we know there are a ton of people out there who take joy in finding the most ridiculous sweater that they possibly can, but we are not members of said club. With so many great looking winter sweaters out there we just don’t understand the point of intentionally dressing like a fool to ring in the holidays. 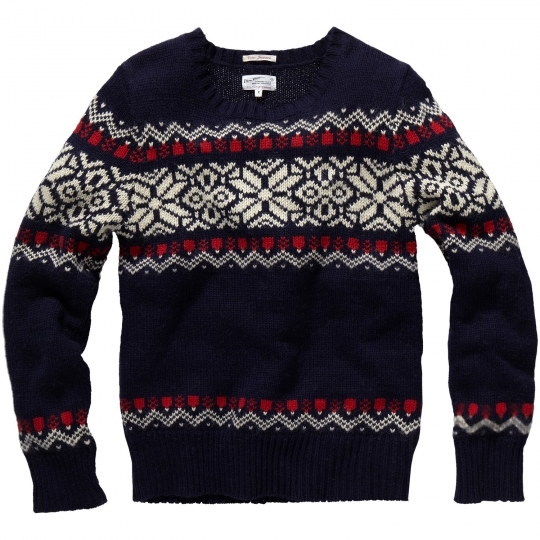 If you feel the same way, and prefer to stick with sweaters that can be worn more than once over the course of the winter, we think you’ll love the Winter Jacquard Sweater by Gant Rugger.